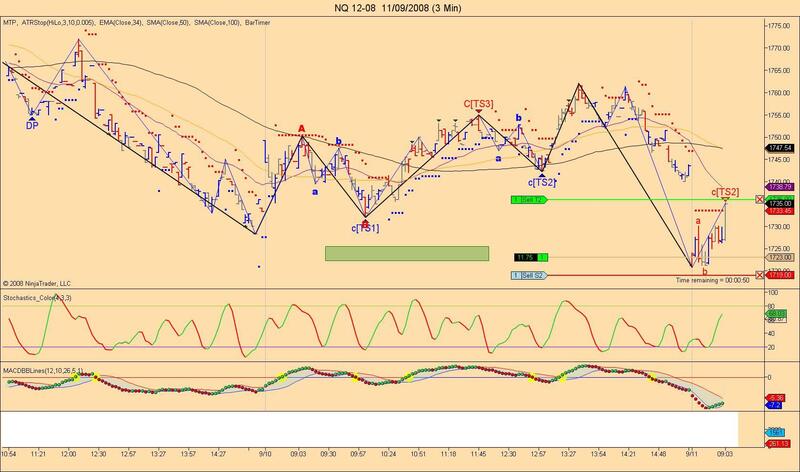 Here is the chart I posted on my blog ddaytrader.wordpress.com updated as of yesterday's close. I removed the more bullish alternative count, as the intraday wave count looks to be confirming the preferred count on the daly which calls for an immanent decline toward the 1170 (1169-1186 or so) levels. Of course, I may be wrong as I have proven that possibility often in the past. 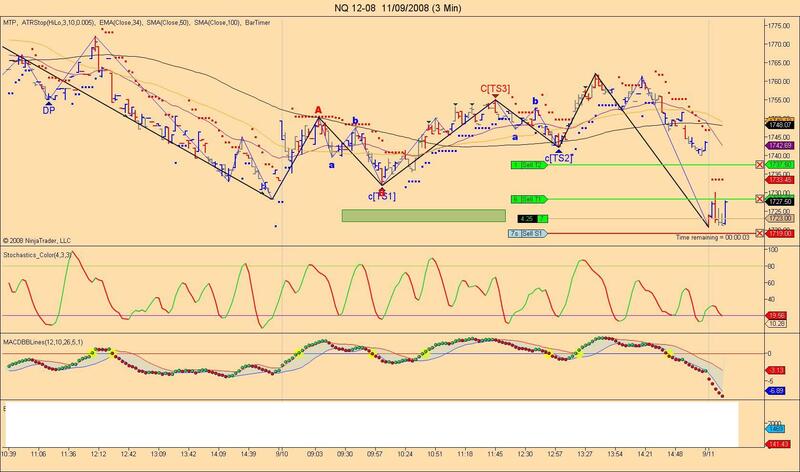 Hi ddaytrader, your count is pretty accurate for a downward scenario the only place I would label it differently then you is the wave 4 as for me it went higher then the wave 1 low , so what I usually do I label wave 4 4D instead and this also open the possibility of calling this wave part of a possible extension in the wave 3C so this wave 4 top could also be called wave 2 of wave 3C as the low of the 3C wave would be the first wave down of the extensions. What is important is that both counts are going downwards and that's what is the most important as the more possible counts that we have showing 1 directions better chance we have that it unfolds. Good Morning, I am noticing quite a few traders trading in the first few minuters of the market opening. It's hard for me to get out of my head to wait at least 30 minutes before trading. With daytrading I am beginning to think this rule may not be applicable. Any thoughts? It's a little more chaotic, but there are opprotunities, but they may not be what you are used to. Indeed Margie as for me there is no such rule as depending of waves structures and patterns I may buy or sell at the opening and sometimes before in the pre-market sessions. BTW I may not post much this morning as I have just upgraded my Ninjatrader for the Russell 2000 E-Mini on ICE and I need to do all the rollover also. I was able to buy the NQ and got close to 12 points on my last lot as I didn't had time to move it higher. Anyway I'll take it. I will post my possible wave count of the ES in a few minutes things are improving with the rollover. Here is the 2 pic's of this morning trade, unfortunately my last contract was taken out on a preset profit order. Oh well I guess that it's not easy trying to take pic's of a trade while it is live but I'm still happy with it as I made money that's what is important, specially that we still have an open gap that hasn't been filled yet. The NQ closed the gap, but nothing else did. The ES just reached yesterday's low so maybe it will turnover and die right now?